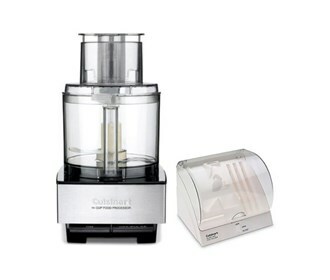 The Cuisinart DFP-14BCNY/CSNRT-BDH-2 is a combination of 14 Cup Food Processor and Blade Holder Kit. 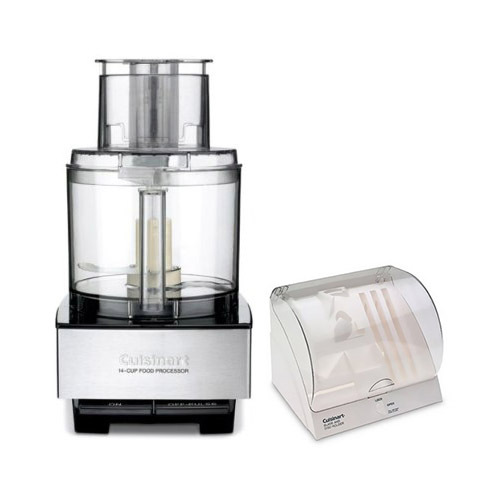 The Cuisinart DFP-14BCNY Custom food processor is a 720-watt large capacity versatile appliance for slicing, shredding, chopping, mincing, emucifying and mixing. It comes with 14-cup work bowl, five basic attachments and two feed-tube options.